A while back I wrote a review of Comodo Anti-Virus. But I wanted to do a review of it using the new testing procedure. 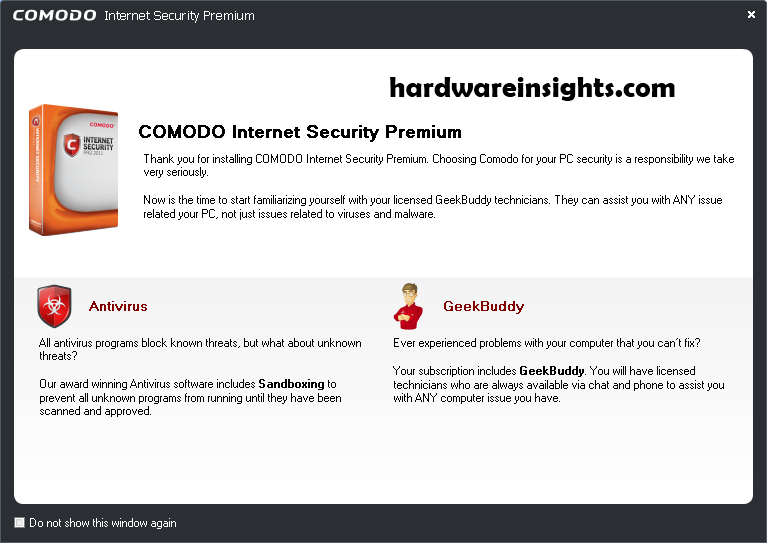 Then again, I didn’t want to make another review of the same exact thing, so I chose to do a review of Comodo Internet Security Premium. It’s also free. 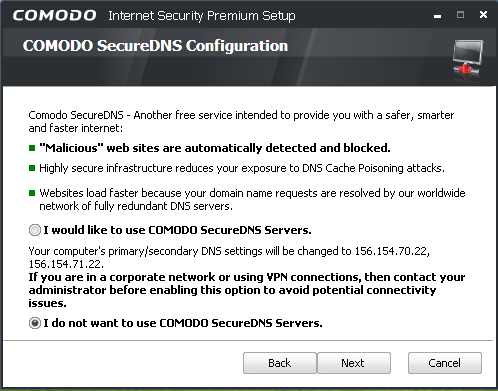 I hope CIS (Comodo Internet Security) lives up to my expectations; after all, I have been using it on all my computers and recommended it to many people. I hope that wasn’t a big mistake. Enough blabbing, and let’s go on. Note: one or more pictures in this review may have been taken from the previous review. They are clearly marked to avoid confusion. Nothing new or exciting here. Nothing much different here, except that there are some extra tabs in the program interface, for example the Firewall tab. CIS tells us the number of current connections to the network and which applications are using the network, and it ranks them in usage order highest to lowest. 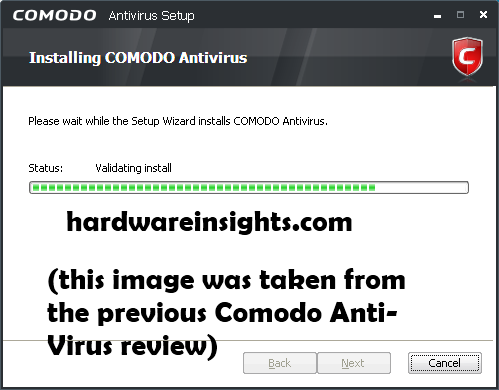 The user interface is pretty much the same otherwise, so go ahead and check out the previous review of Comodo Anti-Virus. Is it foreshadowing if I tell you right now that I needed to use GeekBuddy? (well at least I tried to use it). GeekBuddy is included for 60 days for free. If you want you can purchase it longer. GeekBuddy is their remote support. It’s very easy to start. You just click on the GeekBuddy tray icon and it connects to their server. It said “a technician will be with you shortly” for about half an hour. When he finally came on, I initialized a chat with him. I told him that my computer was infected with “XP Repair”, and I asked him to fix it. He told “Comodo Internet Security detects but doesn’t remove viruses.” Huh? What the hell? Look at the screenshot of their website below, it clearly states that CIS “Prevents malware from being installed”, and that it “Detects and eliminates viruses”. To top that off, he had terrible grammar in his typing and he tried to get me to purchase a subscription to use the “60 Days of FREE GeekBuddy live remote PC support”. I told him that I was reviewing CIS and was going to publish the results, and he still refused to help me. And yes, I just gave away the face that Comodo let through the quite common “XP Repair” scareware, which gives you errors about Hard Disk failure, RAM memory failure, and tries to get you to buy it, meanwhile hiding all your desktop elements, Start Menu stuff, and documents. Anyway, I’m not going to give away too much more about how well (or should it be how badly?) Comodo did. That’s the name for one of Comodo’s features. It routes all your traffic through their servers, and it blocks you from visiting blacklisted sites. However, I have found it to be rather useless, since it blocks legitimate sites such as clicksor.com (I’m so glad I don’t use that horrible ad company any more) while not blocking sites that I visited from Malware Domain List that were truly infected. The firewall does a good job at protecting your computer. Like any good firewall, it asks a lot of questions the first few days. Then, as it gets used to your habits and the software installed on your computer, it only gives you a warning message when there is something that needs to be blocked or when you install a new program. Unfortunately my Firewall screenshot did not make it out the virus combat zone alive. Well, it’s an anti-virus program, so it should protect against all different types of malware. 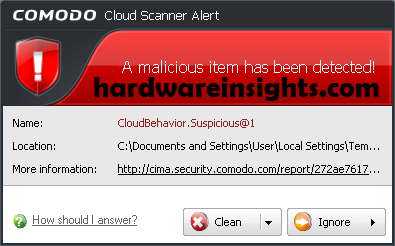 Well, Comodo did a decent job. It blocked 6 out of 8 threats. It missed the “XP Repair” scareware and one other Trojan. When I removed the hard drive from the computer and attached it via USB to my other PC (also running Comodo Internet Security Premium), and scanned it with Comodo, Comodo claimed there were 0 threats, after taking about 30 minutes. When I scanned the same drive with Malwarebytes’ Anti-Malware, it found the 2 threats within 30 seconds. 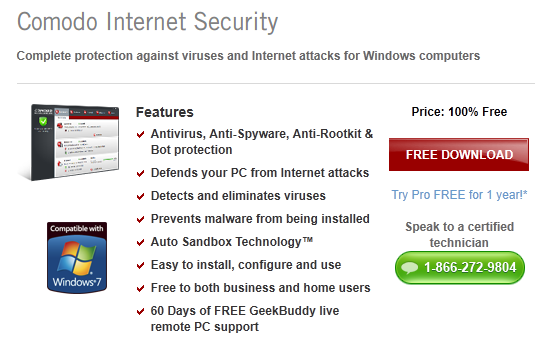 Well, Comodo Internet Security Premium is a great piece of software! Discuss this review in our forum here.